We are a renowned and widely appreciated organization engaged in offering a comprehensive range of Metal containers made from the top quality raw materials supplied by the best vendors in the business. These Metal containers are highly demanded by the clients owing to their superior strength, luster and long lasting capabilities. Keeping in mind various requirements of the clients, we offer them in various designs , shapes and sizes as per the client's demand. 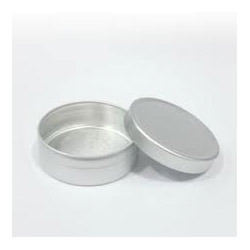 We hold specialization in manufacturing and supplying premium quality Round tin containers 15/30/60/100/150 gms which are made from super quality raw materials in international standards. These are precisely produced by our own set of experts. In addition, the offered products are manufactured using finest required basic material obtained from our eminent reliable vendors of the market. We offer these containers in different combinations and designs to meet diversified demands of the clients in affordable prices with on time deliveries. We hold specialization in manufacturing and supplying premium quality Round tin containers which are made from super quality raw materials in international standards. These are precisely produced by our own set of experts. In addition, the offered products are manufactured using finest required basic material obtained from our eminent reliable vendors of the market. We offer these containers in different combinations and designs to meet diversified demands of the clients in affordable prices with on time deliveries. Our Industry products are counted amongst the leading and one of the topmost quality Cosmetic Cream Aluminum Containers engaged in providing complete satisfaction to our valued clients. Demanded by a number of clients, these Metal Cans are manufactured using superior quality raw material, procured from the most trusted vendors of the business. 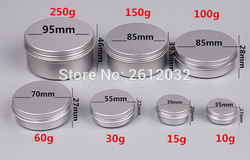 These caps are appreciated for their features, such as differential design, availability in different sizes and their versatile usability with perfect fittings which are ideal for use in beverage sealing, home use, office and shop use and many more other industries. Looking for Metal Containers ?